From highly anticipated pregnant clues to new products drop, the Kar-Jenner clan sure knows how to stir up a media frenzy. There have been so many things happening of late, from the birth of Chicago West, the Kar-Jenner Calvin Klien ad to the latest news of Kim K’s perfume debut. Meet BFF, Bae, and Ride or Die. This Valentine’s themed perfumes are a complete departure from her previous Crystal Gardenia series. I’m sensing a very Millennial vibe going on. 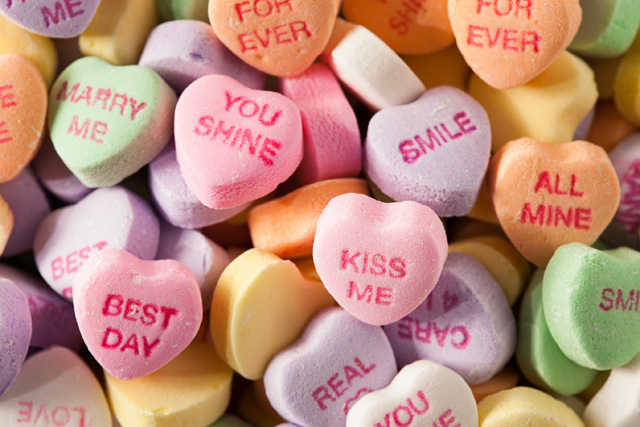 I’ve a feeling that Kim K has drawn inspirations from the classic Sweethearts candy. Which is such an ingenious idea! So when will the Kimoji Heart perfumes will be released? The trios are set to launch on 1st February 2018 (12pm PST)- just in time for Valentine’s Day. The adorable heart-shaped bottles are designed based on Kim K’s personal emoji brand, Kimoji! She definitely scored points for brand consistency! Plus, I’m already obsessing over the product names and cute af packaging! I’m rather intrigued of their scent but I’m guessing it’ll be a variation of sweet candy-like scent for this series. The perfumes will cost $30 a pop (30ml). Personally, I feel that it’s a tad overpriced but it’s all about the novelty that has captured our hearts. Social media is already swooning over the trios, but who can blame them- I am too!